The minister in charge of electoral matters has raised claims of improper behaviour within One Nation with the Australian Electoral Commission. The ABC’s Four Corners on Monday night reported money provided by Victorian property developer Bill McNee was used to buy a light plane which is insured in the name of Pauline Hanson’s chief of staff James Ashby. The Jabiru aircraft, which bears the party logo and has Senator Hanson’s image emblazoned on the side, has been frequently used by Mr Ashby, a trained pilot, to fly his boss to regional areas. Former Queensland One Nation treasurer Ian Nelson told the program he urged Senator Hanson and Mr Ashby to declare the plane as a gift but was told not to worry about it. The program also raised allegations of candidates being forced to sign contracts which committed them to spend money with Mr Ashby’s printing company and imposed a $250,000 administration fee if they were elected to parliament but later quit the party. Special Minister of State Scott Ryan has spoken with the AEC commissioner Tom Rogers after the program went to air, AAP has been told. “They will have a further conversation in coming days,” a spokeswoman said. 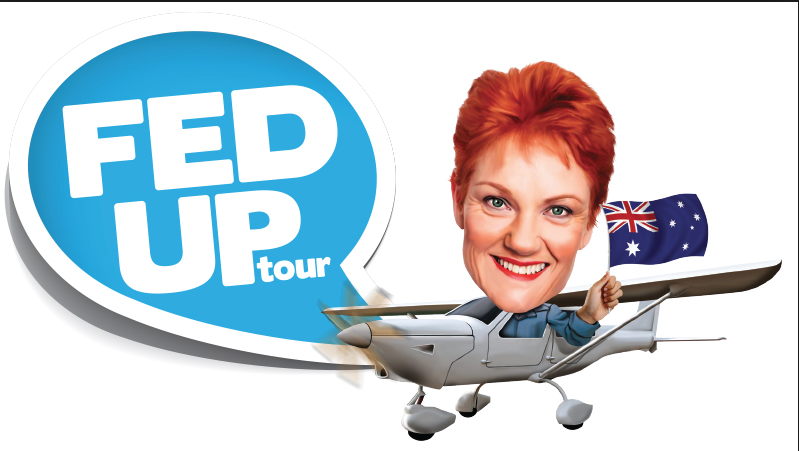 Pauline Hanson’s plane, flown by adviser James Ashby, has been a prominent feature in One Nation campaign material. Queensland One Nation state leader Steve Dickson said on Tuesday his party had met its obligations to declare donations. “I can’t give you all the details on how James has come by his plane – if he’s bought it personally, if it’s been a part of some sort of a donation – but what I can say is we are playing by the rules,” Dickson told Sky News. Four Corners also reported some One Nation candidates had been required to use Mr Ashby’s printing company for their posters, pamphlets and corflutes. Dickson said he had signed a candidate contract which required he commit $3500 to the party, but he was not aware of a link with Ashby’s business. “I can go through whoever I like,” he said. Dickson, a former Liberal National Party MP who quit to join Hanson’s party, described the ABC program as a “stitch up” featuring disgruntled former officials and candidates. Asked how influential Ashby was in the party, Dickson said he was “an element of the organisation”. Greens democracy spokeswoman Lee Rhiannon said there was a strong case for federal and state electoral commissions to investigate the political donations and gifts received by One Nation. “How Senator Pauline Hanson has had access to a small plane for campaign purposes should have been reported,” she told AAP. “There are clear rules that require politicians and political parties to disclose such gifts. Hanson has declined to comment. But she told Sky News in January she provided fuel for the aircraft out of her own pocket. “I’ve still got my plane, well the party’s plane, but all the trips I’ve done in that since the election I’ve filled it up myself,” she said. One Nation declared a payment of $1187 noted as “Jabiru aircraft service” in its Electoral Commission of Queensland party disclosure return for the first half of 2016. The disclosure return was signed by Hanson’s brother-in-law Greg Smith, who the form said was the “party agent”.